The Rev. John Warwick Montgomery, a Lutheran clergyman, is a practicing barrister and Principal Lectur­er in Law and Human Rights at Luton College in Eng­land. The October 5, 1992, issue of The Times carried a troubling, but not atypical, news ar­ticle. It announced that fundamental changes were in the offing for one of England’s most prestigious public (i.e., in American terms, private) religious schools, Roman Catholic St. Philip’s sixth form college in Birmingham, founded by Cardinal Newman and including among its alumni J.R.R. Tolkien. The plan is to turn the college into a non-sectarian boy’s secondary school. Senior priests at Birmingham Oratory defended this move on the ground that more than two-thirds of the pupils are now non-Catholic; indeed, as a result of the presence of many Asian and non-Christian students on the campus, even the Lord’s Prayer and the Sign of the Cross have already been “deemed inappropriate” at the college. On the surface, it would appear that the proposed changes would be legally out of the question. The trust deed says what it says: How can it be disregarded? The answer, these days, is to argue that a trust deed is subject to modification by way of the legal doctrine of cy pres (Old French for “the nearest equivalent”). When changed circumstances militate against the continued performance of the grantor’s original intention, then (it is said) one may redirect the purposes of the trust. Here, alleg­edly, our late-20th-century secular and multi­cultural society makes a strictly Catholic educa­tion, as envisaged by the original grantors, unrealistic. Thus is the modification of the trust purpose justified. And since the grantors have long gone to their eternal rewards, they are not around to dispute the case before the chancery judge who rules on such questions. Such argumentation is both legally spe­cious and morally repugnant. Juridically, cy pres ought to be applied only in cases where it is now impossible to carry out the original pur­pose of the trust. Impossibility may occur, for example, because the trust corpus is no longer sufficient to carry out its original purpose (a trust for nuclear research which, through bad investment, now consists of only $500); or because the original trust purpose has become meaningless (a trust for superannuated dray horses after they have all been replaced by transit vans, or a trust for the conquest of in­fantile paralysis in Ohio, when no more in­fants suffer from the disease in that jurisdic­tion). Under such circumstances, a court of equity will agree to modify the trust purpose — but only to the extent strictly demanded by the changed circumstances and in a manner as closely in accord with the grantor’s original intent as can be found. Thus, in the case of the grant for conquering the now conquered infantile paralysis, the court may allow the trustees to use the investment interest from the trust corpus to combat another and still existent, equally virulent childhood disease. Ed. Note: The feast day of Bl. 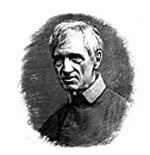 John Henry Newman is celebrated on October 9.